See more Manolo Blahnik Pumps. We check over 450 stores daily and we last saw this product for $390 at Saks Fifth Avenue. 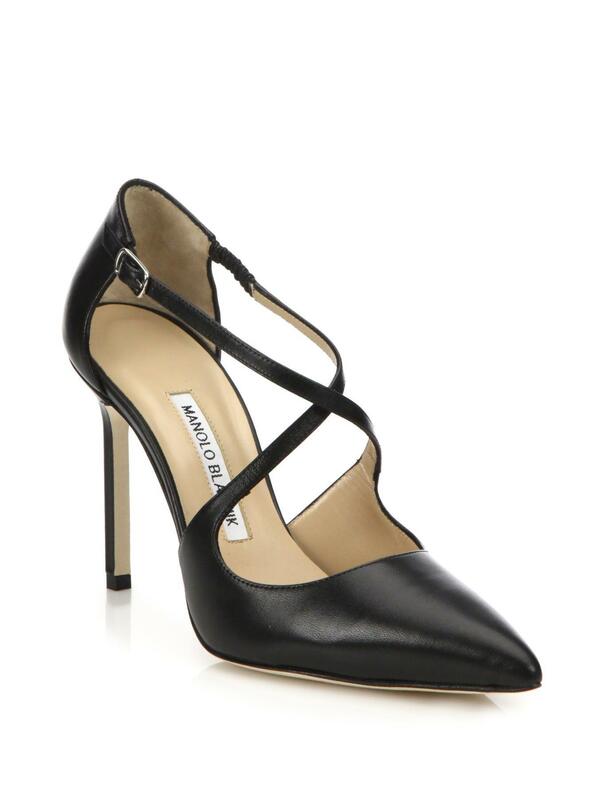 Give your style an elegant finish with Jimmy Choo's Umice pumps. Crafted from black leather, this d'Orsay silhouette features a crossover strap fastening, pointed toe and stiletto heel. Pair yours with cropped pants to showcase the style.